After submitting this form, you will be contacted about paying the membership fee. 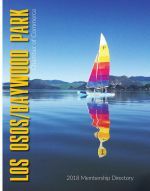 Once payment is received, your business listing will appear on the Los Osos/Baywood Park Chamber of Commerce website. Choose a plan from the options below. What's included with each plan?